Blood type diet food lists are based on the ABO blood type diet, which was developed by a naturopathic physician named Peter D'Adamo. He has done much research and written a variety of works about the concept of blood group-influencing eating. He published his now-famous work Eat Right 4 Your Type in 1996 and has seen massive success in this pioneering field of naturopathic medicine and nutrition. Those who follow this blood type diet believe that the same genetic characteristics that determined the way they look may also affect the kind of diet they should eat. For example, one blood type may have more trouble eating a food group than another blood type. D'Adamo's diet program offers guidelines and information about the right kinds of foods that each group should consume for weight loss and optimum health. Additionally, the diet can be affected by ethnicity and factors related to your health. Those with certain food allergies or medical conditions may need to alter the diet to suit their health needs. If you have specific medical needs, it may be necessary to work with a nutrition professional to tailor the diet around these needs. Following the theory that people with type A blood are directly connected to agricultural ancestors who lived tilling the land to grow their food, the diet by blood type approach for type A includes a diet high in grains and vegetables. Along with no meat, the suggested diet included very little dairy. The following are a few foods considered acceptable for consumption by those with type A blood. The type B diet is focused on avoiding foods that cause a drop in blood sugar in this blood type, such as corn, legumes, wheat and chicken. Avoiding these foods and eating foods found below will help you maintain more even blood sugars with less fatigue. The following are some foods considered acceptable for consumption by those with blood type B. Type AB has some characteristics of both types A and B, including the inability to eat meat of type A and the drops in blood sugar seen in type B. In addition, type AB has its own challenges that diet can address. The following are a few foods considered acceptable for consumption by those with blood type AB. Type O is considered the oldest blood line. With this in mind, the diet is built on the idea that the digestive tract is programmed with memories of ancient types. In ancient times, type O individuals were hunters and meat eaters. Thus according to this plan, blood type O diet foods include high protein foods like lean red meat, fish and poultry. Along with the lean protein, plenty of fresh vegetables and fruits are recommended. The foods to avoid include grains, breads and legumes. The following are a few foods considered acceptable for consumption by those with blood type O. 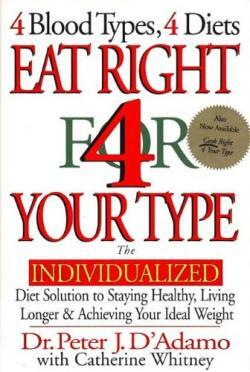 For complete food lists and other diet guidelines for each type, check out Eat Right 4 Your Type by D'Adamo. 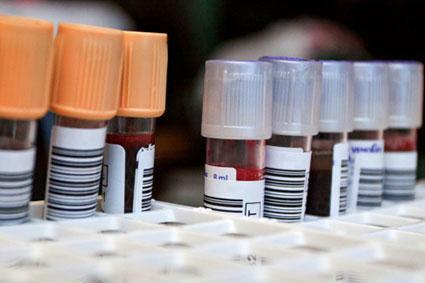 If you aren't sure about your blood type, a simple blood test can determine it. Speak to your medical professional before drastically changing your diet. Start eating according to your body's needs and see what difference it may make for you.